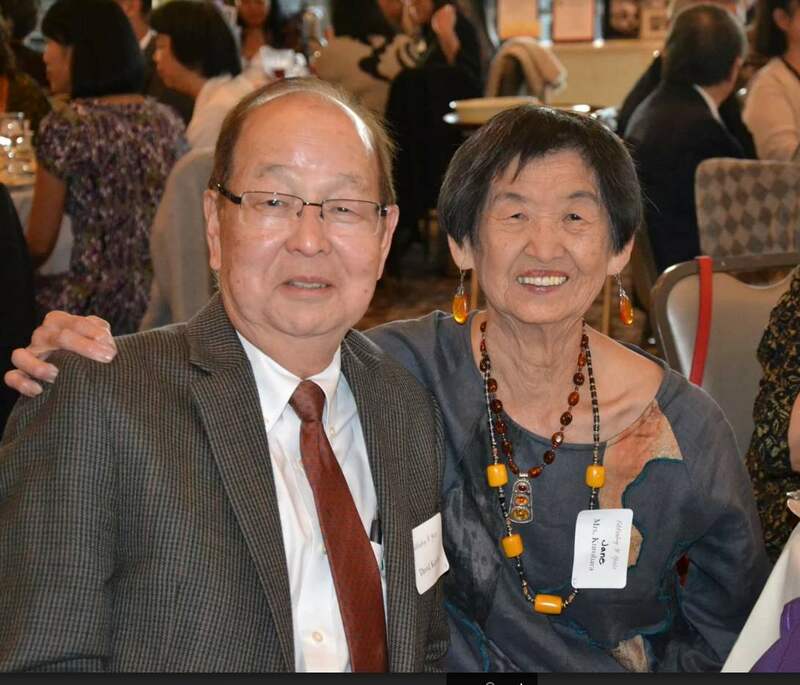 National Association of Social Welfare (NASW), California will be honoring Jane Kurohara and David Kuroda for their pioneering contributions to the field of social work practice. They will be inducted into the California Social Work Hall of Distinction on Saturday, Oct. 15. The University of Southern California’s California Social Welfare Archives (CSWA) maintains the Hall of Distinction. CSWA collects all historical information regarding the development of social work in Southern California, as well as a collection of interviews with prominent social workers that have made significant contributions to the field. Kurohara is being recognized for her leadership and social activism. At UCLA, the late ’60’s was a period of student upheaval and challenge. Black, Chicano and Asian American students were confronting the inequities reflected in the university’s admissions policies that discriminated against students of color. At the time, Kurohara was a field faculty member of the School of Social Welfare. She too was disturbed by the lack of representation by minorities among the graduate students in the school. Until then, the student graduate population was predominantly white while the communities they served where predominantly African American and Latino. Asian Americans were effectively unserved because of their reluctance to ask for help and because there were few to no Asian American social service agencies. Kurohara, along with students and community members, met with the dean of the school, expressed their concerns, and requested a change in the recruitment and admissions policy so that more minority students could be admitted. Under pressure from this group, the dean quit. The new dean was more sympathetic to reform and an agreement was reached so that the next class enrollment became 30 percent African American, 30 percent Latino and 10 percent of Asian American. Kurohara recalled in her CSWA interview that her first task was to develop field placement sites for the Asian American graduate students. She began by negotiating with the Japanese Hospital to include social work trainees as part of its social services. She also negotiated with the newly constructed Keiro Nursing Facility to have social work trainees and allow them to carry a primary caseload. From that point, with her support, students themselves went on to establish the first Asian social service agencies in Los Angeles, the Little Tokyo Service Center and the Chinatown Service Center. Since the first entering class of 1970, Kurohara has shepherded, mentored, and supported approximately 237 Asian American students from 1970 to 1997. Many of those students, now gradually retiring, have made major contributions to the field of social work and have held major leadership positions in Los Angeles County alone. Kuroda is being honored for his many contributions to the field of social work, particularly his pioneering work in mediation and conciliation services. He graduated from USC’s School of Social Work in 1972. As a clinical social worker, his early experiences in varied specialty areas no doubt contributed to his broad view of what social workers can accomplish. He began as a medical social worker at Los Angeles County Medical Center. After a year he moved to West Central Mental Health and functioned as a psychiatric social worker, helping adults suffering chronic mental illness. He was then recruited to be the assistant director of social work training at Children’s Hospital, University Affiliated Programs. UAP provides a full range of services for children with disabilities and their families. In 1981, California became the first state to pass a law requiring parents to mediate their custody and visitation disputes. Kuroda left Children’s Hospital for the County Family Court to implement the new mediation and conciliation services. He later became the division chief of the Family Court Services for the Superior Court of Los Angeles County. During the 18 years that he served in the Superior Court, he played a crucial role in developing this program, which became the model for the rest of the nation. Now divorce mediation and “collaborative divorce” is practiced worldwide, but at that time there were no guidelines for what a social worker was to do in this setting. Kuroda helped define that role and strived to establish the highest standards for clinical practice working as a team with lawyers. This was not necessarily an easy task because social workers and lawyers looked at their respective roles with the family very differently. He continued to teach and train social workers in mediation, developing guidelines and standards of practice that eventually won the respect of the court. Kuroda is currently in private practice continuing his work with collaborative divorce and mediation. He maintains his many professional ties with the community. One of the founding members of the Los Angeles Collaborative Law Association, he participates on committees with the Los Angeles County Bar Association and continues to provide parent training and training for professionals on collaborative divorce. He has received many awards, including a lifetime achievement award from NASW, the George Nickel Award from the California Social Welfare Archives, USC, and now his induction to the Hall of Distinction. Past students, friends and associates are invited to attend the induction and reception to celebrate the lifetime contributions of both Kuroda and Kurohara. To purchase a ticket, go online to www.naswca.org/events/EventDetails.aspx?id=816893, email Katie Johnson at [email protected], or call (213) 743-0201.